Buying has become a necessity of our modern times and buyers always love a good discount. When buying a car, a new pair of shoes, or the latest and greatest smartphone, special offers and discounts are always welcome. Wine is no exception. So I was at the local grocery store – Pavilions and I decided to go check out their wine section. I was genuinely amazed at the selection and the wide range of wine classifications. It went from the inevitable 1 gallon jugs of table wine (not my table) to some of the most acclaimed fine wines. I’m talking about wines with a $70 to $90 price tag. 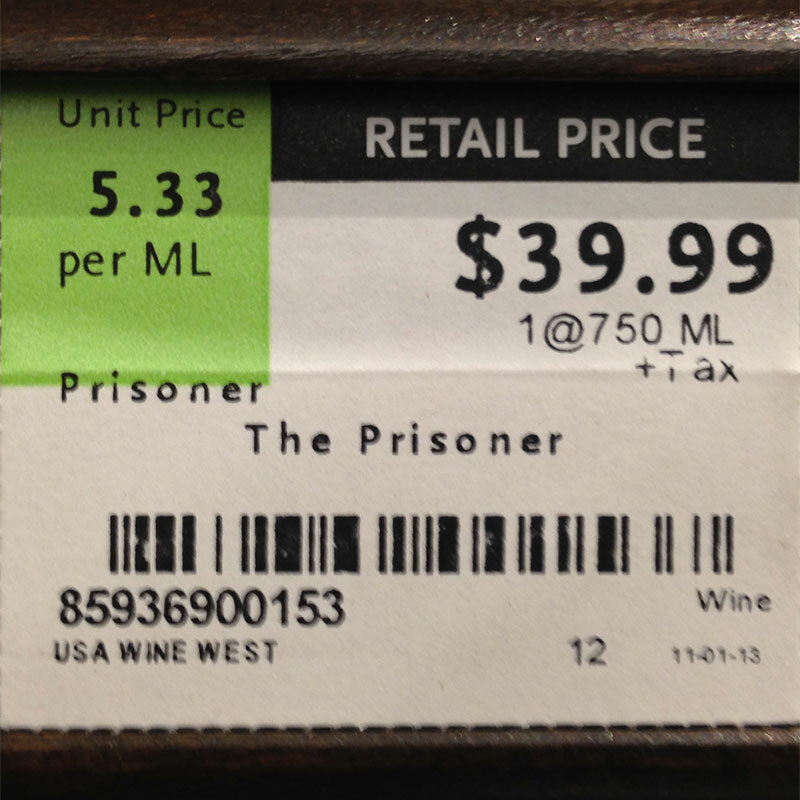 The one that caught my attention was The Prisoner, a very popular (and very yummy) blend from the Napa Valley. So as I got closer to the bottle, I was able to read the price tag: $57 a bottle! Depending on the vintage and production levels, the wine averages $40 a bottle STRAIGHT FROM THE WINERY. Why the heck would I pay $57 when I can buy it for $40 from the winemaker himself? I continued to read the price tag in disbelief and noticed the wine was on sale for $39.98. That’s a 30% discount if you are a Pavilions club member! Their sale price equals the regular price everywhere else. For the sake of discussion, I decided to check out other prices from other stores. I went to Whole Foods which carries the unfortunate stigma to be pricier than other grocery stores. I checked out the same wine, The Prisoner Vintage 2012. Their price: $39.99! So there you have it. 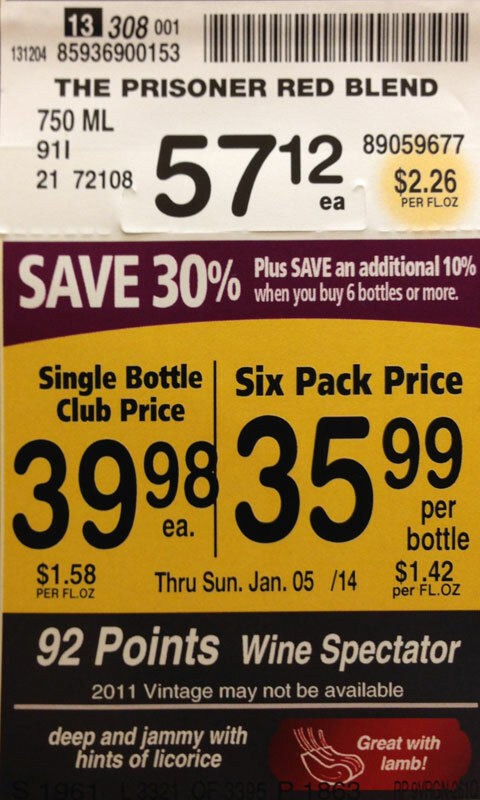 That “special sale” – but I prefer to call it a scheme – from stores like Ralphs, Vons and Pavilions lasts all year long. They jack up prices only to make you believe you’re about to make the deal of the century. Additionally, they give you another discount to the tune of 10% if you buy 6 bottles or more. The first discount is that bright shiny light that flying insects get drawn to. The second discount… well, you know. Don’t know where to go or what to buy for your next wine shopping trip?